Over half of evaluable patients who received an infusion of tisagenlecleucel achieved partial or complete response. A single infusion of tisagenlecleucel, an anti-CD19 chimeric antigen receptor (CAR) T cell therapy, yielded high, durable response rates in patients with relapsed or refractory diffuse large B cell lymphoma (DLBCL), according to a report published in The New England Journal of Medicine. The JULIET trial (ClinicalTrials.gov Identifier: NCT02445248) is an active, open label, international phase 2 study of tisagenlecleucel for relapsed or refractory DLBCL in adults who had previously received at least 2 types of therapy. 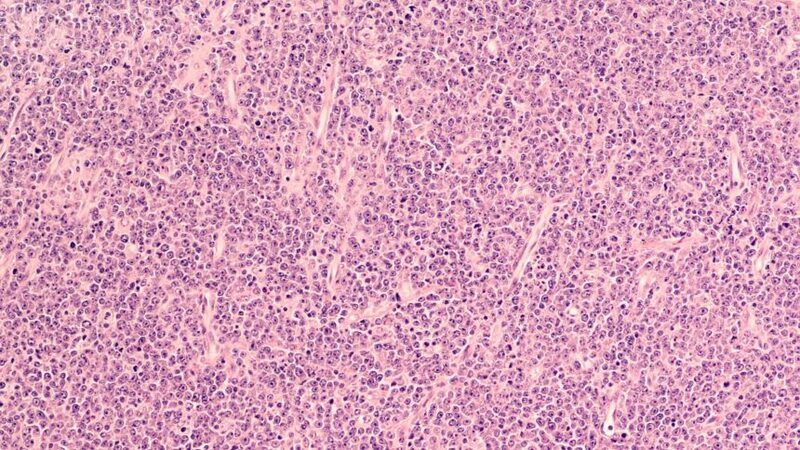 Patients who had follicular lymphoma-transformed DLBCL and double- or triple-hit lymphoma were also included. The primary endpoint was best overall response rate. Of the 111 patients who received a tisagenlecleucel infusion, 93 were included in the efficacy evaluation. The overall median dose was 3.0 x 108 viable CAR-positive T cells (range, 0.1 x 108-6.0 x 108). The median time from infusion to the data cutoff date was 14 months (range, 0.1-26). The best overall response rate was 52% (95% CI: 41%-62%), with 40% (37/93) of patients exhibiting complete response and 12% (11/93) exhibiting partial response. The median response duration had not yet been achieved at the time of publication. The estimated rate of relapse-free survival at 1 year was 65% (95% CI: 49%-78%) for patients who had a response and 79% (95% CI: 60%-89%) for patients with complete response. For patients who were in remission 3 months after infusion, the estimated probability of remaining in remission after 1 year was 81% (95% CI: 63%-91%). Grade 3 or 4 adverse events suspected of being related to the study drug included cytokine release syndrome (22%, 25/111), neurologic events (12%, 13/111), cytopenias that persisted for more than 28 days (32%, 36/111), infections (20%, 22/111), and febrile neutropenia (14%, 16/111). The authors concluded that tisagenlecleucel offered a possible treatment alternative for patients with relapsed or refractory DLBCL who may have few treatment options, and that larger studies with longer follow-up periods are needed. Disclosure: This study was sponsored by Novartis. Please refer to the original reference for a complete list of the authors’ disclosures.